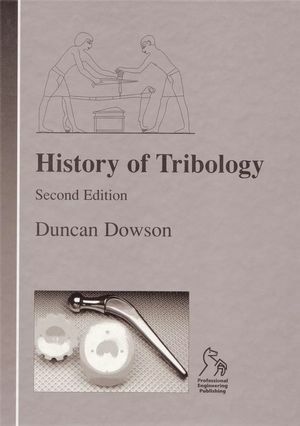 A revised and updated edition of Professor Duncan Dowson's classic History of Tribology which has been unavailable for a number of years. The scope of Professor Dowson's survey is broad in time, place, and subject. All the major periods in the history of science and technology are covered, including the much-neglected Middle Ages, the Renaissance and other recognised eras of scientific development. For each period the author puts tribology in its social, environmental, and historical context, to show that the science and technology of tribology developed from the need to solve the practical problems of the day. Lavishly illustrated with photographs, diagrams and line drawings, this edition contains much new material dealing with recent developments in tribology. This immense historical survey has been written for all those concerned with tribology in the belief that future developments can benefit greatly from lessons learnt from the achievements and problems of the past. Duncan Dowson CBE FRS FREng is a British engineer, and professor emeritus at the University of Leeds.